Schaumburg Roofing Contractor - Ready Home Inc.
Our quality and high-end roofing repair, roofing replacement, and roofing installation speak for us everywhere we go. You will never call us to work for you and feel disappointed at the end, because we know how to make it happen and we do our work perfectly-well without hassles. The Top Schaumburg Roofing Team! One of the fascinating things about us is that, we’re always at alert to receive emergency calls for roofing services from any client in Schaumburg, Illinois. 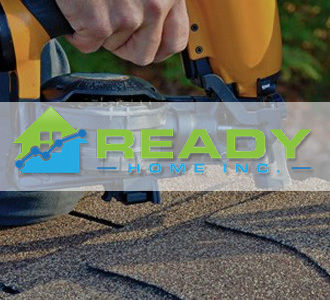 Our teams are ever ready any day anytime to attend to your emergency roofing needs for your house or commercials. Quality of work is what you will get when you hire us to work on your roof; we have one of the best work ethics you can find in any of the top best companies in the world. Trust us for providing quality roof replacement, quality roof installation, as well as quality roof repair services. As a reputable roofing contractor, our company has a variety of experts that specialize in different aspect. If you’re planning on starting a building or you have already raised the building and got stuck at the roofing level, you can contact for tips and advices on the type of roof you will need for that building. Feel free to tell us for anything that has something to do with roofing, and we will be more than happy to offer our all.